Ride app drivers line up for passenger pick up. 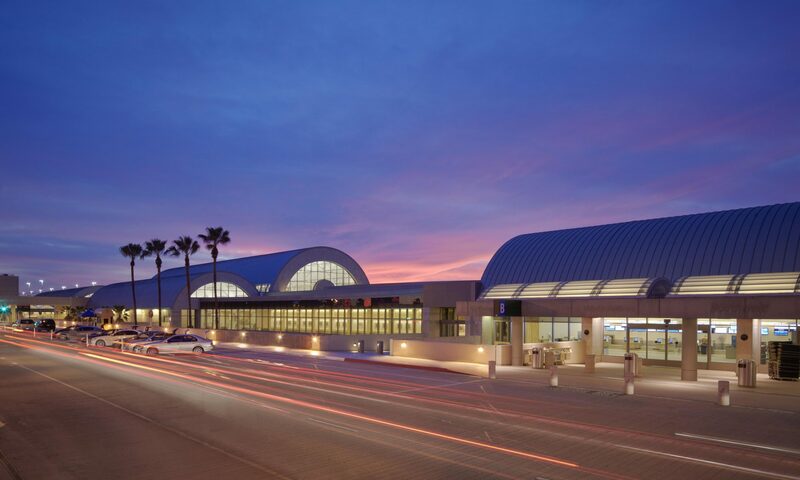 On October 1, John Wayne Airport introduced new pick-up areas for passengers using ride apps Lyft, Uber and Wingz. The new procedure was designed to reduce traffic congestion on the Arrivals (lower) Level and ensure passenger safety. Increased curbside traffic led many drivers to stop in traffic lanes to load passengers, causing congestion, more accidents and unsafe conditions. The new ride app pick-up locations at each Terminal were implemented to move a significant portion of passenger pick-ups to the Departure (upper) Level, mitigating the potential for more dangerous situations and keeping curbside traffic flowing. As with any change, there will be growing pains and we appreciate everyone’s patience. To ensure a smooth transition while ride app drivers and passengers become familiar with the new locations, the Airport has added wayfinding signage and increased customer service assistance throughout the Terminal and parking areas. New ride app pick-up locations are located in parking structures A2, B2 and C, and are accessible from the Departures (upper) Level. Ride app drivers will continue to drop off passengers on the Departures Level. For more information, please visit our Ride Apps page.